S&T Airborne Systems has just completed a basic operator training course for new operators at the Swedish Coast Guard. 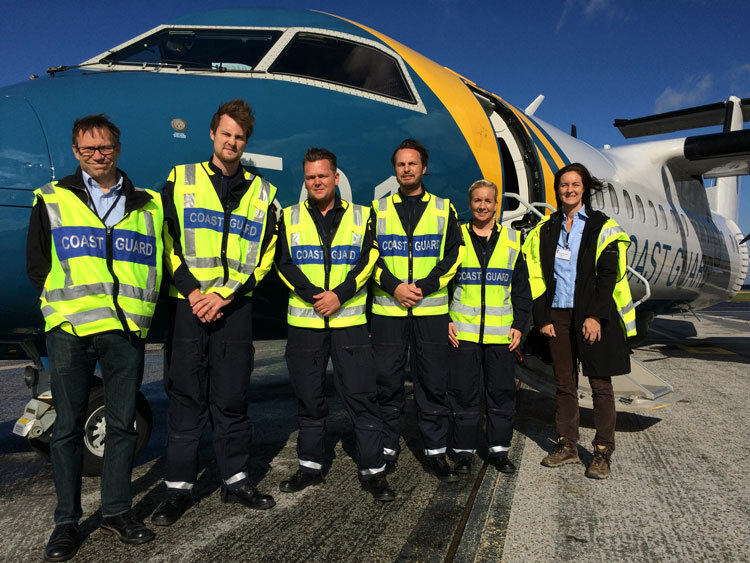 S&T Airborne System instructors Johan Bostedt (far left) and Heike Schneider (far right) together with new operators from the Swedish Coast Guard having landed at a windy Visby airport during a training flight. In the backgound the Dash 8 aircraft used by the Swedish Coast Guard for maritime surveillance.